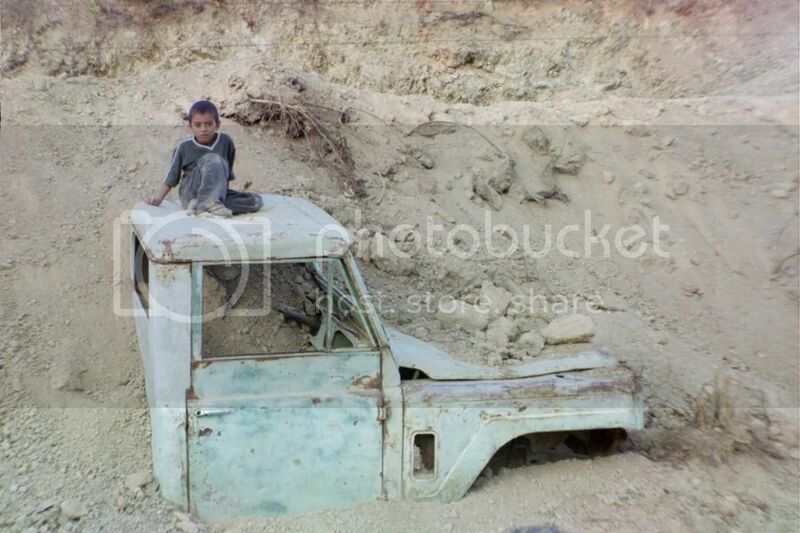 Just a boy, sitting on the corpse of a truck, by the side of the road. You will forgive me, O Best Beloved; the picture quality is only as good as the camera quality, and the camera quality is not so much so. Ooh, that looks like a fun place to play.